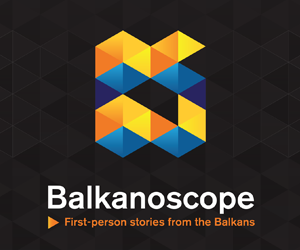 BELGRADE – Last summer, shockwaves were sent when the presidents of Serbia and Kosovo, Aleksandar Vučić and Hashim Thaci, presented the idea of territorial changes as a solution to the longstanding Serbia-Kosovo dispute. 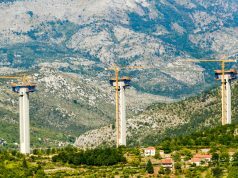 This news surprised many, having in mind that since the inception of the EU facilitated Belgrade-Pristina dialogue in 2011, the issue of border was a taboo topic, and the entire normalization process focused on the integration of Serb-controlled North Kosovo into Kosovo’s political and legal system – a process whose achievements would in large part be annulled by border changes. The two presidents were quite timid when it comes to explaining what kind of territorial changes they actually propose – and especially unwilling to explain what exactly their side would be giving up. Nobody was therefore certain if this scenario would represent partition of Kosovo on the Ibar river – making North Kosovo a part of Serbia – or a territorial exchange where territories in North Kosovo would be compensated by Albanian-majority municipalities in south of Serbia. This set of ideas could hardly be described as new, as they were advocated by certain actors in various points in time. This time, however, they not only found their place in the mainstream, but they were also given a green light by crucial actors in the international community, from the United States to the European Union. For a moment it seemed that a certain agreement was already reached, and that it was only necessary for the two governments to find support for it at home before it could be implemented. Another shockwave, however, came in November after Kosovo imposed a 100% tariff for goods coming from Serbia and Bosnia and Herzegovina, as a response to Serbia stopping Kosovo’s bid to join Interpol. 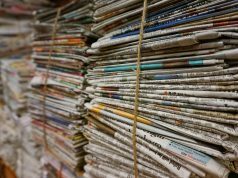 For a while it seemed like the crisis could escalate further and the topic of normalization of relations – as well as the territorial changes – fell off the radar. But is the agreement on territorial changes still on the table? When the tariff issue is resolved and the dust is settled, will this topic return to the forefront? Of course, if it ever left the negotiating table, as there is very little information back-room dialogue between the two sides. 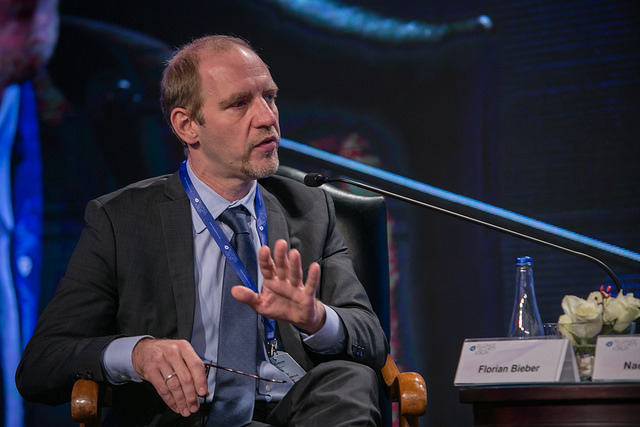 Florian Bieber, professor at the University of Graz and coordinator of the Balkans in Europe Policy Advisory Group (BiEPAG), believes that it is hard to tell if territorial changes are still being negotiated, as “there are signs that discussions might be continuing below the radar”. However, he believes that the likelihood of this is decreasing. “The EU mediation will soon wind down due to upcoming elections to the European Parliament. The Commission including Federica Mogherini is unlikely to take radical new initiatives. Finding a settlement that would be acceptable is also less likely in light of both conflicting views among international actors, including Germany strongly opposing border changes and opposition in Kosovo to such plans”, states Bieber. He does not believe that there have been significant changes in the approach of the international community in the past months, with Germany strongly opposed to the idea of partition. According to Tena Prelec, Researcher at the University of Sussex and London School of Economics and Political Science (LSE) and member of BiEPAG, it looks like that negotiations are ongoing in Brussels, and that the main points of discussion are the lifting of the tariffs. “Even though publicly they have gone quiet, we may see some developments soon. As I understand, the situation is in flux now and it could go both ways – deal or no deal”, states Prelec for EWB. 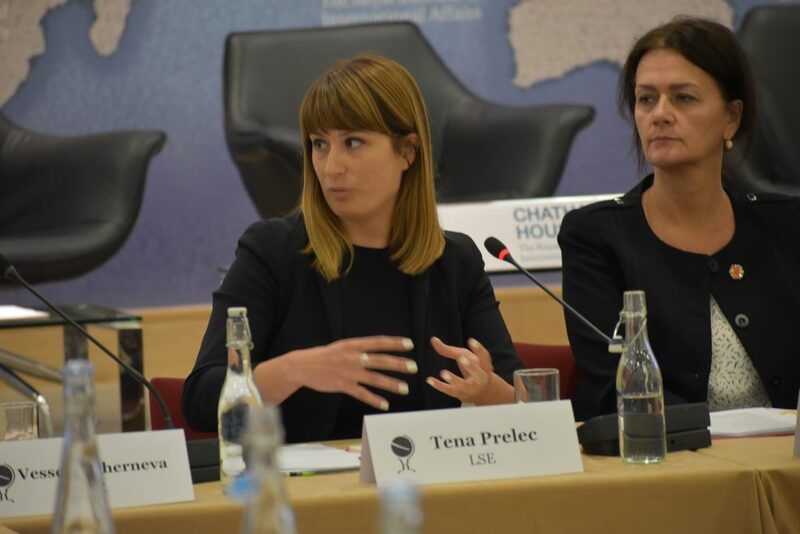 Prelec is not convinced that the scenario of territorial changes is still non the table, but would not rule out such a possibility, as it could be in the interest of both sides. The third key actor in this triangle, the European Union, finds itself faced with elections for the European Parliament this May. This might be a huge factor when it comes to the possibility of reaching the Serbia-Kosovo normalization agreement in 2019, and also raises a major question mark for the continuation of the process in this format in the coming years. 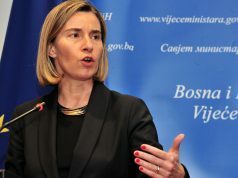 Since 2018 the EU seemed particularly eager to see the normalization process concluded by the end of this European Commission’s mandate, as last year’s Western Balkans Strategy called on the two sides to “urgently” reach the agreement on comprehensive normalization, even though this was previously expected only at the end of Serbia’s EU accession process. 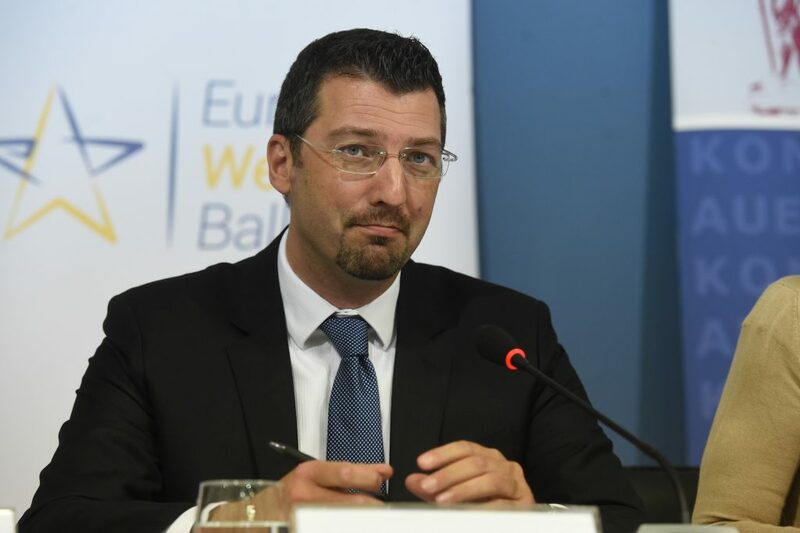 According to Srđan Majstorović, President of the Board of the European Policy Centre (CEP) and member of BiEPAG, “the sense of imposed urgency is evident”. He believes that despite the initial expectation that the comprehensive normalization agreement should be reached by the end of Serbia’s EU accession negotiations, “reality on the ground shows that there is limited “visible” and far from “sustainable” improvement”, which makes a serious obstacle for reconciliation and authentic compromise. Majstorović believes that “there is enough external pressure that might result in signing of some sort of an agreement by the end of the Commission’s mandate”, with the latest coming from the US President himself motivating leaders of Serbia and Kosovo to reach an agreement. “And while there are some developments concerning inclusion of the Parliament in the dialogue on Kosovo’s side, Serbian National Assembly and opposition parties are still kept in the dark regarding potential compromise and possible outcomes of an agreement”, states Majstorović. The question remains about what will be the position of the EU towards the Belgrade-Pristina dialogue and the proposed border changes if the agreement is not reached within this Commission’s mandate and remains to be dealt with by the next Commission and the new EU High Representative. Would territorial changes represent a viable solution? “The whole initiative seems to be based on private arrangement between two presidents, it is questionable from the legal point of view and lacks transparency and democratic legitimacy. Furthermore, it may cause very negative consequences in the region.”, states Majstorović. Majstorović believes that the entire Belgrade-Pristina dialogue lacks sincerity and genuine good will between the two sides, which renders any border agreements insufficient for the success of the normalization process. “In order to get there, leaders should promote closer cooperation between countries and ties between people. They should lead by their own personal example. What we are experiencing in case of Serbia and Kosovo is completely opposite. Thus, I am not convinced that an agreement on border change alone will be a serious contribution to the normalization of relations.”, states Majstorović. With the crisis over Kosovo’s tariffs expected to be resolved in the coming weeks, it is probable that the debate about the potential border changes will resurface soon. Whether it will also resurface as a main platform for continuation of the Serbia-Kosovo normalization process remains to be seen.